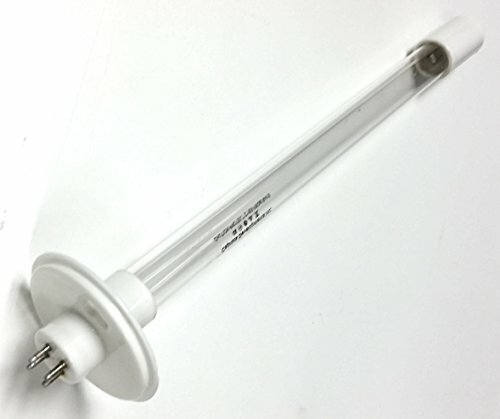 This lamp is 100% compatible with the Sanuvox LMPRGPT180 OEM lamp selling at a much higher price. It measures 18 inches, excluding the 4 pins on the end of the lamp. The base has a large flange used to help with installation. Its peak output is at 254nm (UV-C) for use in Sanuvox air purification systems. The rated useful life is 10,000 hours.